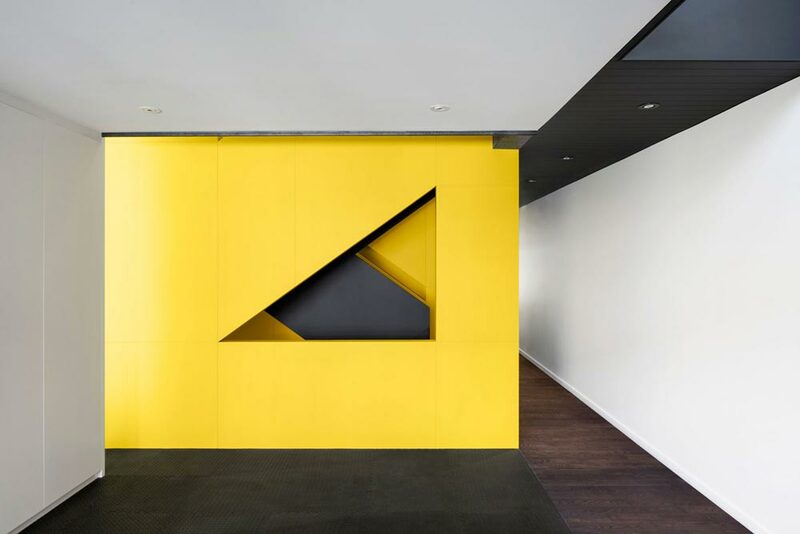 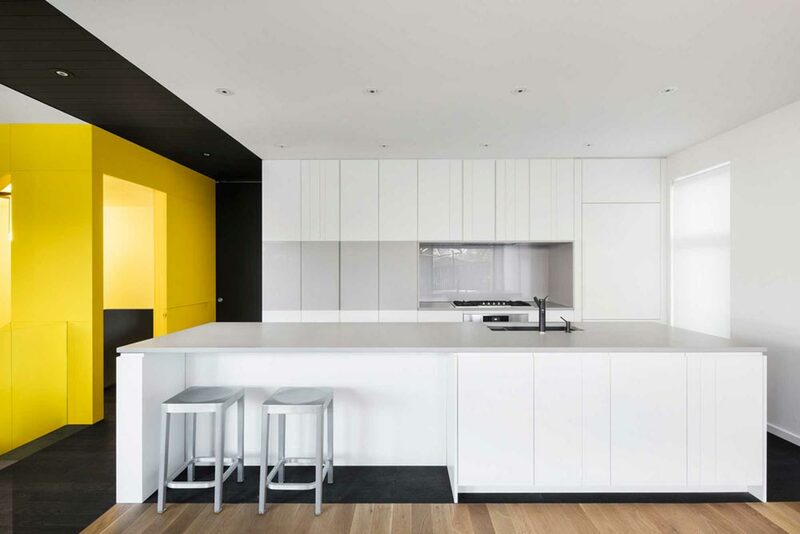 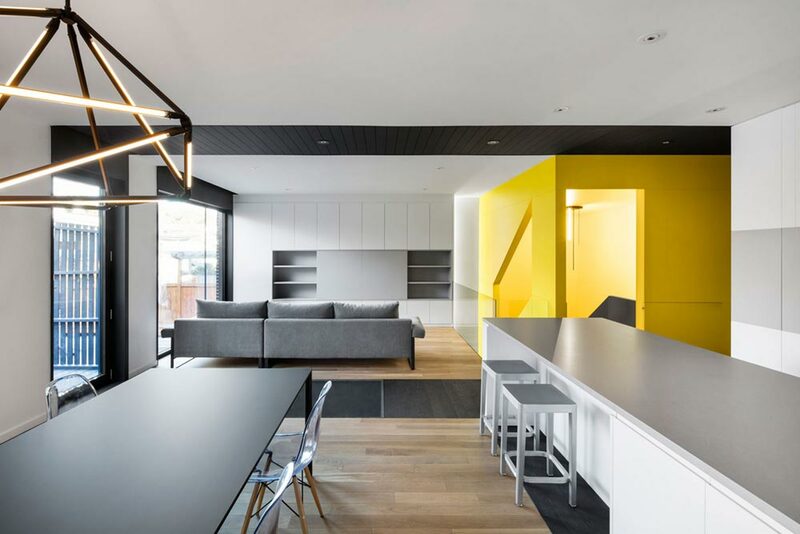 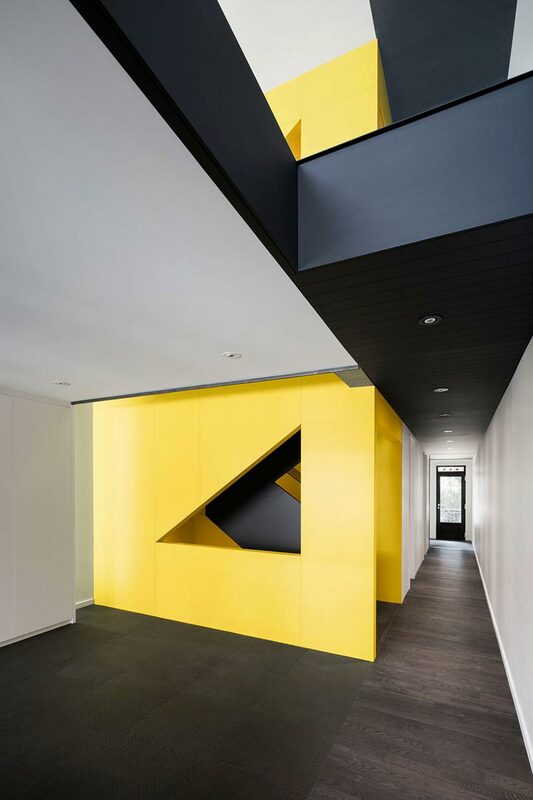 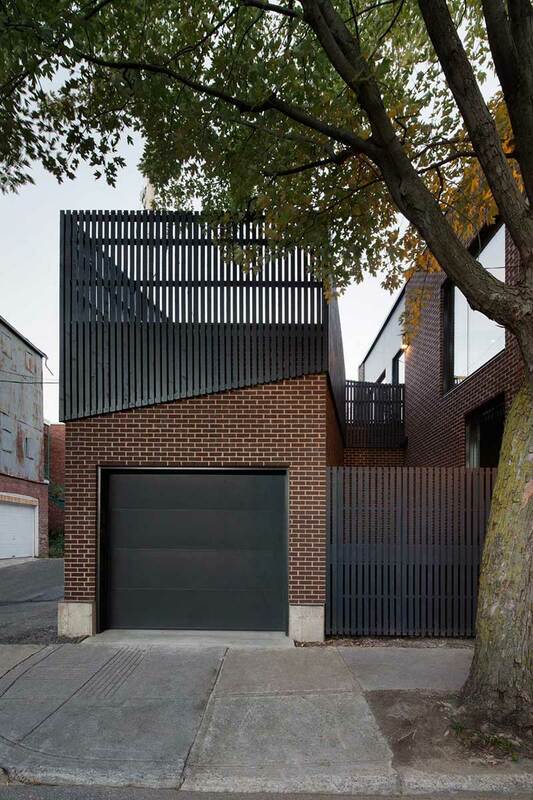 The Canari House was once a fourplex, which has since been turned, by the talented group of Naturehumaine, into the blazing yellow residential nest you see today. 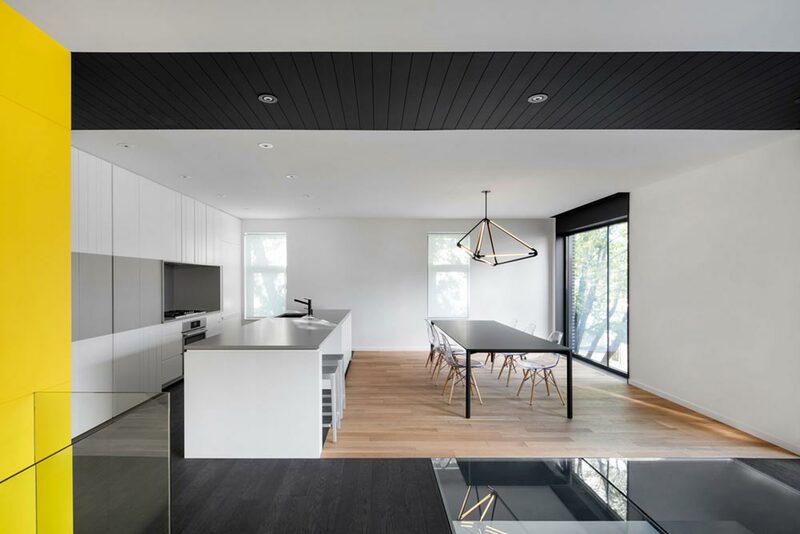 This 1930’s original is home to an active young couple, offering a rental suite on the first floor, and delivering a restored exterior and interior space with an attached garage and an outdoor terrace to put your feet up atop the roof. 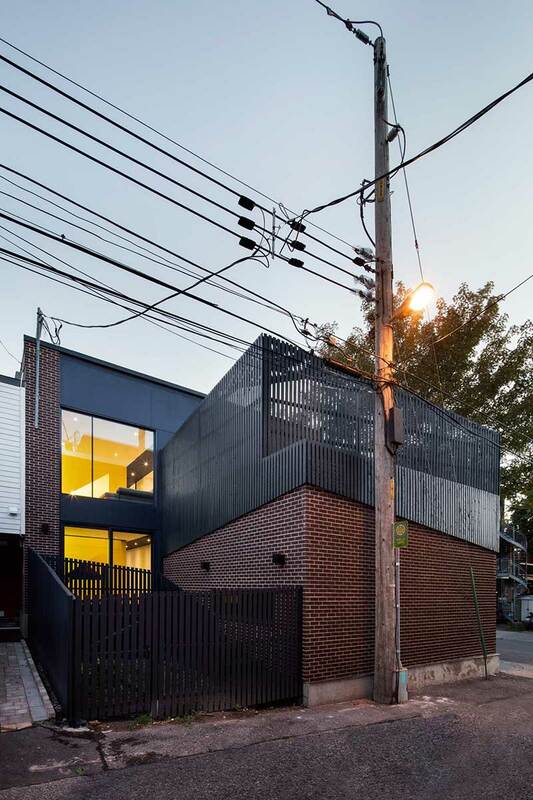 Constructed of wood, the angular nature of the home gives space between the perpendicular corner buildings – leaving room for a garden in its intersecting space. 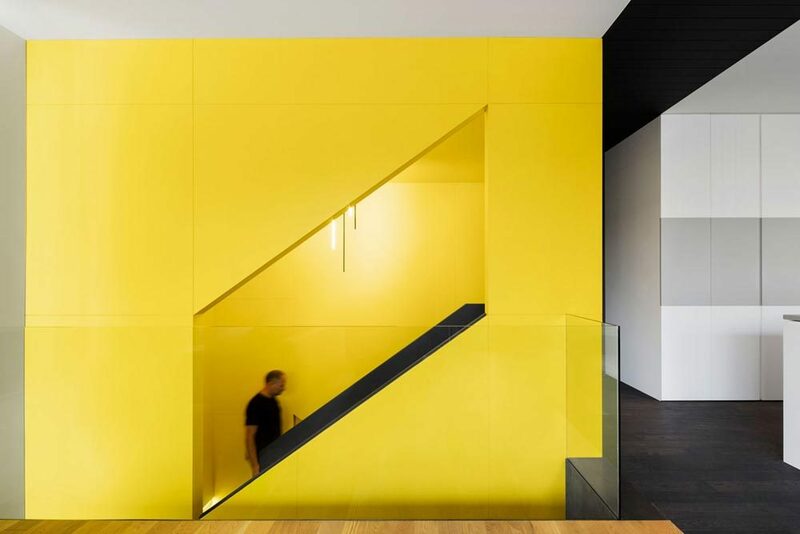 In addition, the grandiose bay window overflows with a north-facing view, while allowing for an endless stream of natural light, all zeroing in on the bright yellow stairway. 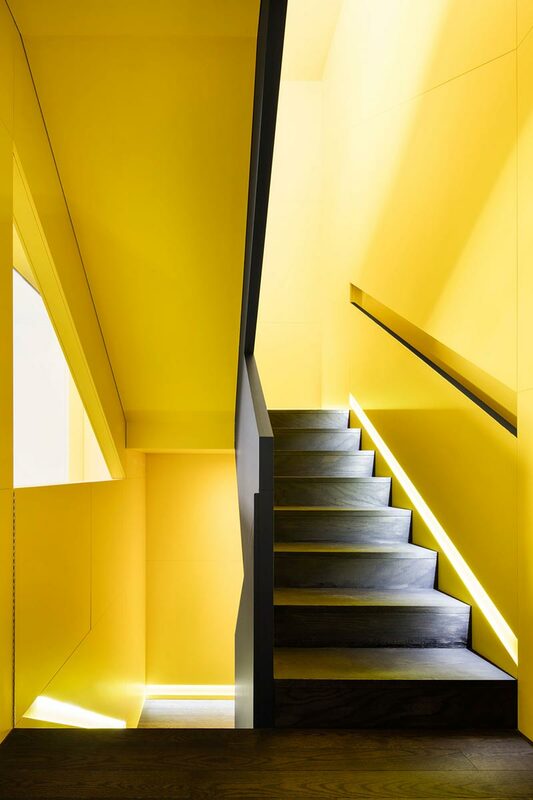 And rightly so, as the stairway is actually the focal point of the entire home, bringing about an endless soft-glow throughout the space, and delivering diagonal lines that further enhance this already dynamic element. 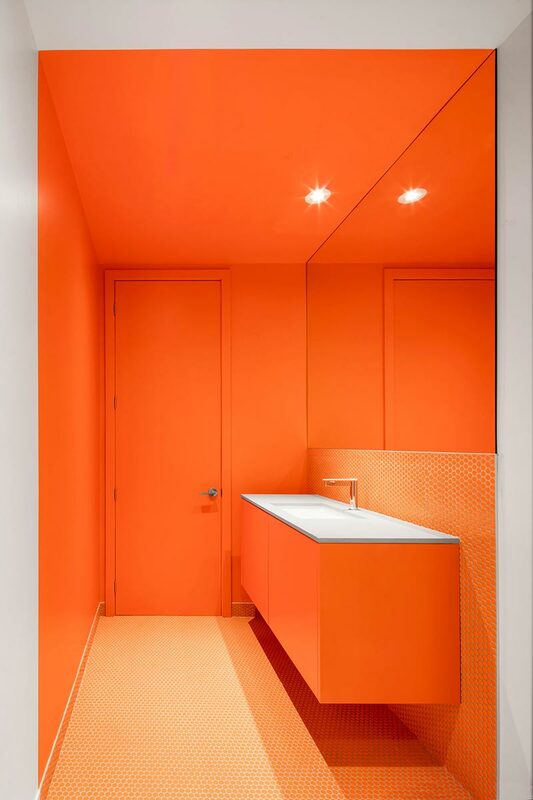 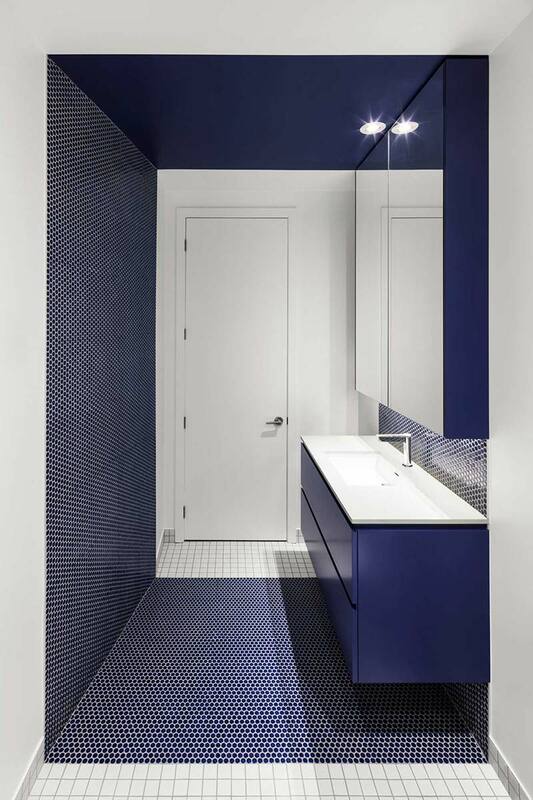 Either bathroom will also blow your hair back, one being a top-to-bottom bright orange version, and the other a striking hue of blue. 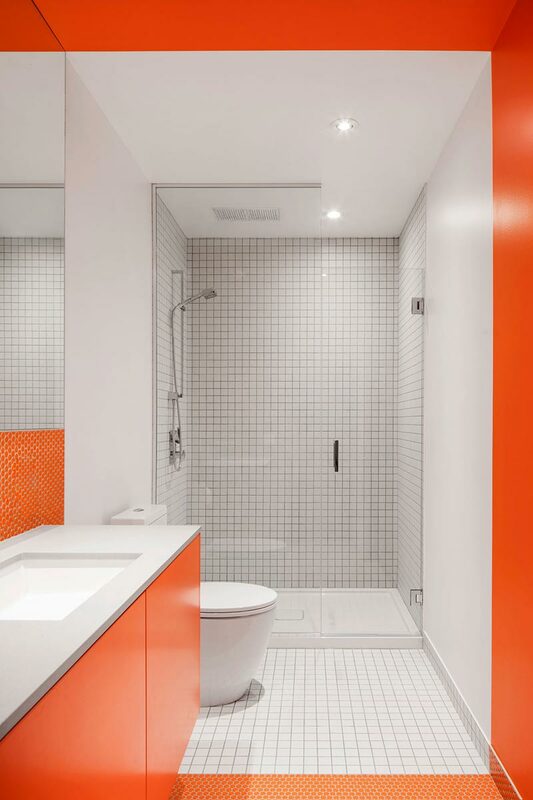 This home is definitely alive with color, energized perfectly for the active owners to pull from any time day or night.